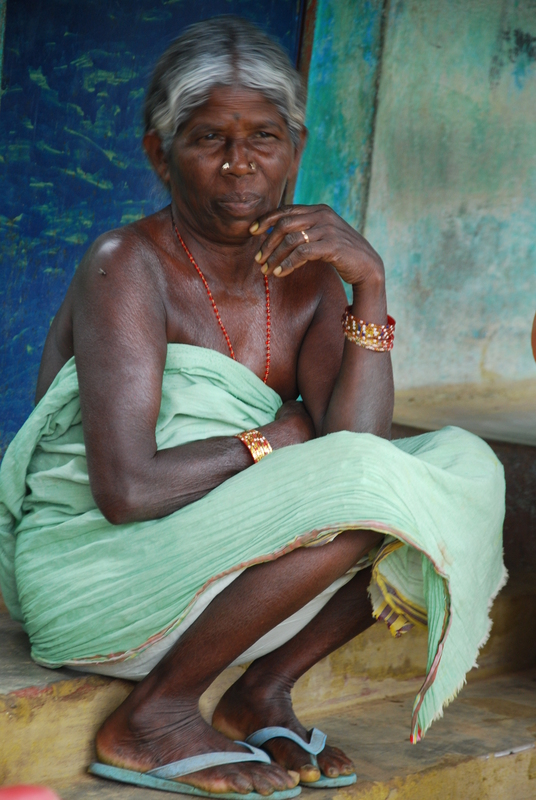 The beauty of old tribal women – Go India, go future! In many big cities, with the ongoing globalization and higher education, where young families need to go for work in other areas and personal independence gets higher rated than ever huge changes of family structures are taking place – also in India. Where in the past the women with the day of their marriage entered the husband’s house and started a “new”life with his family, today esp. in the cities, this becomes difficult to manage, although it is still the most accepted and appreciated way of living together. For sure, it has never been easy for many young women to live in the same house with their mothers-in- law. And more than one man – taxi drivers, men from low and upper classes I met while traveling or at occasions when we talked about their families – told me that they feel sometimes being the “poor guy” in between. “Better to go for work”, explained me this morning a driver in Chennai who took me to the airport with a large smile in his face. Of course, in tribal and rural areas the traditional family integration and structures are still dominating. The women who started as “new family members” many years ago have gained a special status during the years. I try to understand who are these elderly women in the tribal areas- how they do behave, which are their ideas, fears and views on life. 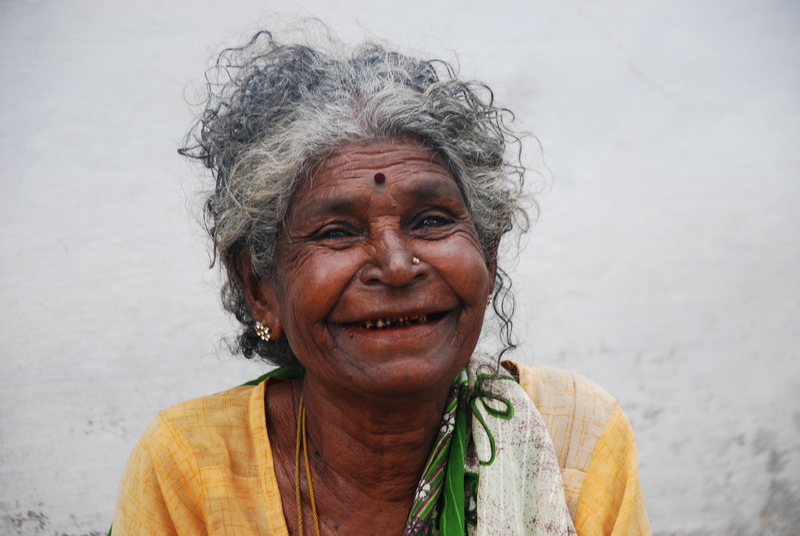 Fact is that the one specific and typical elderly Indian woman does not exist. They are all different. But there are some things that evidently are common in many of them. Most of them are much more self- confident than their young female family members. During our discussions often they take the initiative and speak out clearly what they think, how the future life of the young generations should look, and they encourage the communities to work together for a better life, especially when we meet the female women groups. Some want the younger women to focus and to develop more skills with farming and/or goat growth. “If we manage to grow more goats, we will become more independent. Our young women have to learn and to see that this makes sense”, told me one and explained how she managed to multiply the number of goats and how this benefitted to her and the family. 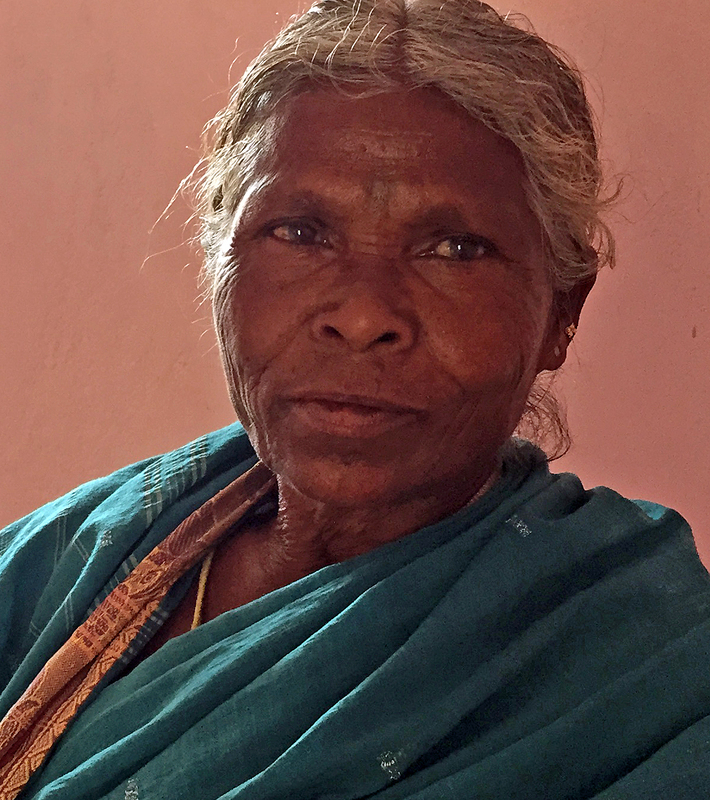 Other elderly women – most of them are illiterate or have just a very small education – are going even further: “If we want to develop our village, we women in the self-help groups have to take the initiative and try to start a small business, a paddy shop, a mushroom farming or produce something else that we can sell to get an own income,” she encourages the women. They listen accurately on what we “from the outside” say and ask and try to build a bridge to their statements. They try to find a supporter in me and to link their experiences to the projects we run together with them: projects around sanitation and toilets, medical visits and opportunities to work together on a better future. Often I’m impressed by the energy they show, and besides that by their status within these groups, but also by their beauty and pride. These women are respected, they feel to be important. They are ambassadors and influencers in these villages. There is no resignation, but rather a huge willingness to share their experience. They express it not just with words, but also with mimics and gesture. These women have their own beauty and they demonstrate it. With a whiff of vanity like if they want to tell me “Here I am. I have worked my entire life for what I am now. I have worked so hard for it – and now I am important. I have something to tell.” Probably there are also elderly women who live in a more “retired” manner. But these “speak up women” are leaders in their communities and are present in all villages. Aging is seen in a different way from how it is perceived in the Western world. It is about winning and gaining – a better and respected status, more knowledge and leadership. The Huffington Post – When you picture a traditional African grandmother, you probably see a woman who is caring but feeble, ever-present to provide her guidance and unconditional love.